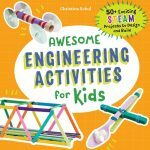 It seems everywhere you look people are talking about STEM activities for kids. 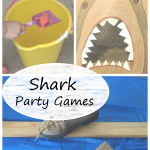 Not only do the activities get kids thinking about science, technology, engineering, and math, but kids genuinely love STEM challenges. This week we had fun with a classic STEM activity: making a paper cup phone, something I remember doing as a child. 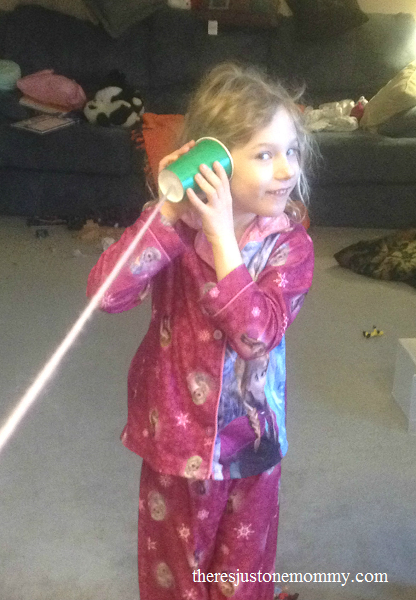 Making a cup phone is a fun way to learn about the science of sound. You might also want to try this simple sound experiment. To make your own cup phones, use the tip of a pencil to poke a small hole at the bottom of each of your two cups. Next, thread the string through the hole of one cup. We just tied a knot in the yarn on the inside of the cup to keep it in place. If the string keeps slipping through the hole you can tie it to a paper clip to help keep it in place. To use your cup phones the string must be kept taut. When one person whispers in their cup, the other should be able to hear their voice through their own cup. My daughter was thrilled to hear my voice being whispered in her ear from over 20 feet away! Why does the string and paper cup phone work? Sound waves can travel through air, solids, and liquids. When you speak into the cup, the vibrations are transmitted into the string. They continue to travel through the string, as long as it is held taut, to the receiving cup. There the vibrations are transmitted to the air in the cup, around the listener’s ear, allowing the whisper to be heard. Because the cup and string are solid, and solids actually carry sound waves better than air, the whisper can be heard much clearer than if you were to just whisper into the air from that distance. Take your cup phone activity further! 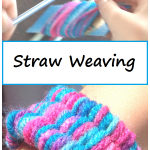 Use a longer piece of string. Does the homemade phone still work if the string is 40 feet? How about 60? 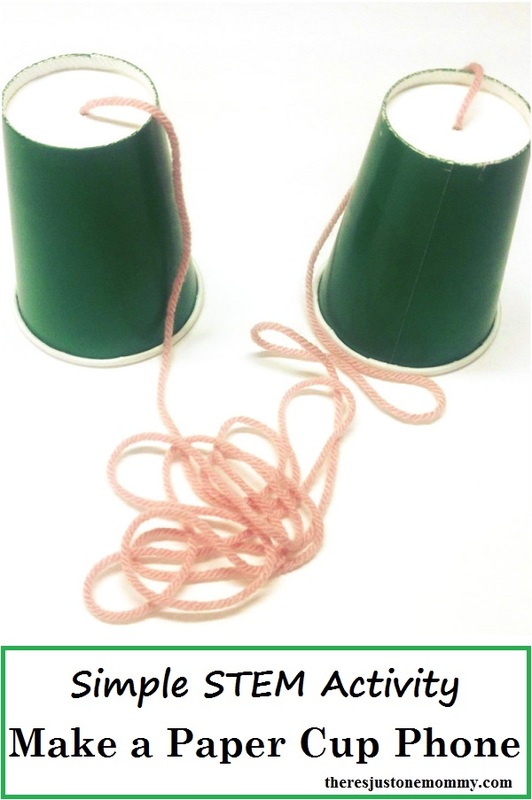 Try making the phone with plastic cups or tin cans. Which phone works the best? Replace the string with wire. How does this affect the phone? 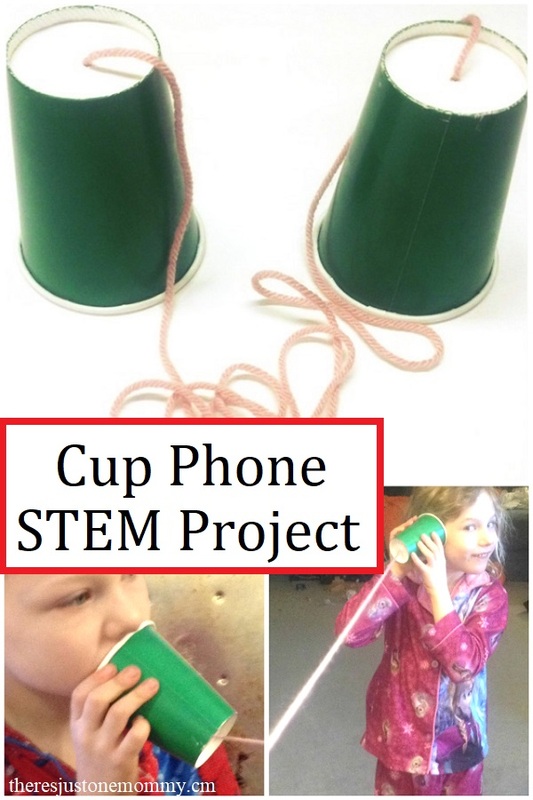 You kids will have fun learning how to make a paper cup phone! That was one of my fav things to do as a kid! I would use one to go form my neighbors house to mine. I would use it also from the top bunk bed to the bottom for fun lol! I love the idea of going from bunk bed to bunk or to a neighbor’s house! We need to use a longer piece of yarn! fun!! Gonna give it a try. It is definitely old school. 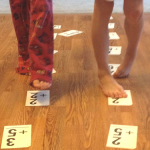 Now, I have to head your way to check out that Dr. Seuss CVC word hunt! Ah, this takes me back. When I was little my best friend/next door neighbour and I would make these and talk from our bathroom window to her bedroom window and think how clever we were! It was about 15 foot and we could just as easily shout but this was WAY more fun!